Yesterday, BlogTO ran a feature on the Comic Book Lounge + Gallery! 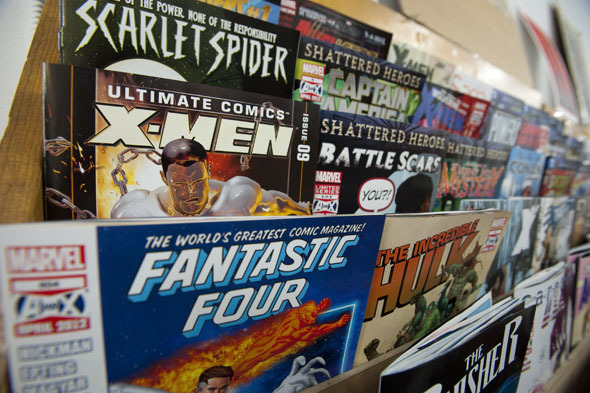 The Comic Book Lounge and Gallery is a new edition to the world of hobby shops. Founded on February 8th of this year by owners Sean Menard and Kevin Boyd, the idea was not to simply create another store. After taking over from Dragon Lady Comics, which shut its doors earlier this year, Sean and Kevin sought to take a different direction.